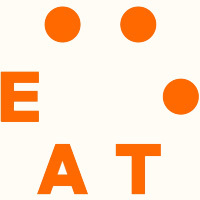 The EAT-Lancet Commission presents a global planetary health diet that is healthy for both people and planet. Discover the report’s key takeaways and the specific actions that food service professionals can take to contribute to the Great Food Transformation. Good food can be a powerful driver of change: The EAT-Lancet Commission outlines a planetary health diet, which is flexible and recommends intake levels of various food groups that can adapted to local geography, culinary traditions and personal preferences. The planetary health diet recommends consuming a range of foods amounting to 2500 kcal per day that will promote health and well-being by reducing risk of overweight, obesity and noncommunicable diseases. By choosing this diet, one can also drive demand for the right foods and send clear market signals all the way through the food value chain back to the farmers. Change culture by changing menus. 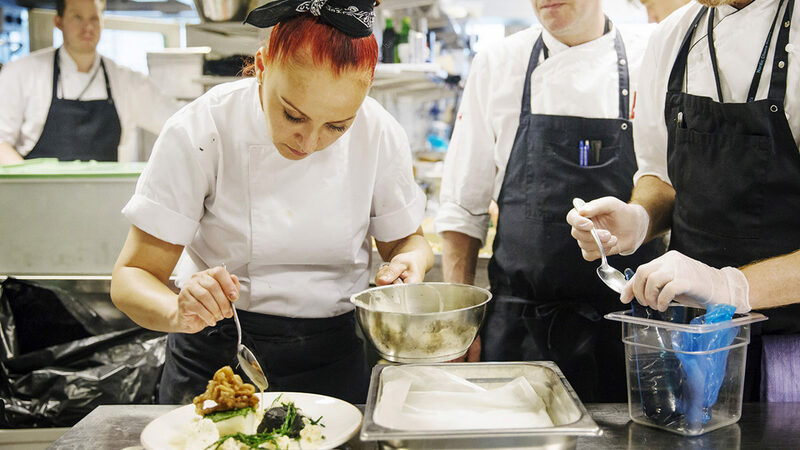 Chefs and other culinary professionals are well-positioned to make healthy and sustainable foods delicious by applying unique insights, skills and creativity to craft next-generation models of innovation in food service and hospitality. This is integral to bring the public along on a journey of discovery and adoption of the planetary health diet. Emphasize the benefits of dietary shifts. Eating healthy foods from sustainable food systems is only partially about decreasing the intake of certain foods. Place the emphasis on eating more of the healthy options rather than simply focusing on decreasing the intake of unhealthy foods. Explore new foods and mix up menus. Focus on the array of new flavors, ingredients and menu options that the planetary health diet opens up by embarking on a lifetime of discovery. Commit to regularly menuing new ingredients to keep planetary health diets innovative and exciting. Lead with messaging around flavor. Use culinary techniques and source the best-tasting ingredients to ensure that healthy and sustainable options are as desirable as, or more so than, the alternatives. Making the healthiest and most sustainable options by far the tastiest and appealing is critical. Work with suppliers and consumers. Whether they are managing a cafeteria at Google or running a school program in Burkina Faso, food service professionals have tremendous leverage with both food suppliers and consumers. Work with both and utilize the positioning of food service professionals as primary pathways to nudge consumers toward planetary health diets. Focus on both quality and quality. Use culinary strategies to promote satiety, value and pleasure from food without fueling overconsumption. Actions from using smaller plates and bowls to avoiding dining hall trays and all-you-can-eat buffets will also help reduce food waste. Waste not, want not. Minimize food waste through careful planning and portioning and be proactive by using the entire product at every chance. Converting unusually shaped or sized produce into dishes where shape and size do not matter can also be helpful. Let plants take center stage. The planetary health diet recommends a consumption level of no more than 98 grams of red meat (pork, beef or lamb), 203 grams of poultry and 196 grams of fish per person per week where possible. Food service professionals can help reduce meat consumption through portion sizes, for example by blending meat with vegetables and plant proteins in bowls, burgers, curries and stews or by using meat as a condiment or garnish (in servings of less than 20 grams) while allowing fruits, vegetables, nuts and legumes to take starring roles. Embrace cultural food influences. Look to a variety of traditional, plant-forward food cultures across the globe for inspiration around both flavor strategies and to craft tasty dishes on restricted budgets through cultural exchanges. Bring biodiversity to the table. Bold conservation targets require collaboration between farmers and farming communities to maintain habitats on or around farms and to enable the safe passage of wildlife. Source ingredients from farmers and suppliers who contribute to efforts for biodiversity. Share the farmer’s story. Convey to diners the important contributions of farmers to conservation and carbon capturing efforts in protecting environmental sustainability through menus and marketing materials. This will, in turn, help create demand for healthy and sustainably produced foods, which translates into a “win-win” dynamic for food service professionals and farmers alike. Read article "Can Gastronomy Save the World? EAT at Resilience 2017"